Melcombe primary school won the 2019 girls Mayor's Cup and will represent H&F at the London Youth Games. 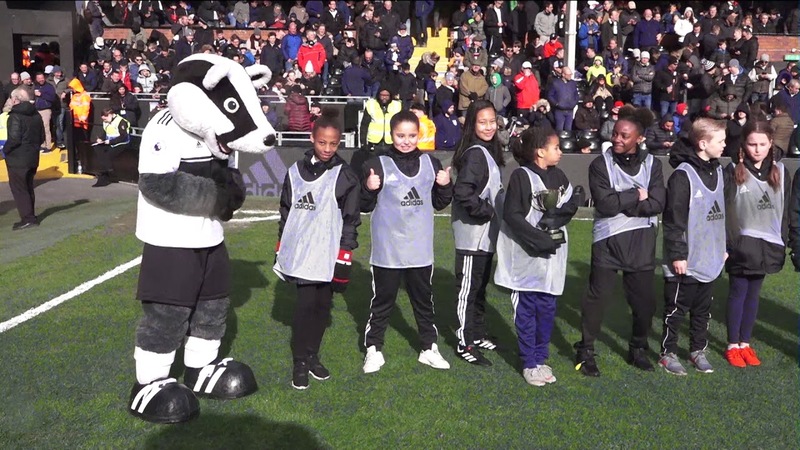 There was a thrilling bonus for the girls of Melcombe primary as they paraded the borough’s schools football trophy in front of 25,000 cheering fans at the Fulham v Liverpool match. The nine and 10-year-olds from the Fulham Palace Road school recently won the Mayor’s Cup - Hammersmith & Fulham’s long-running primary schools tournament - and were made the official ballgirls for the Premier League game. Then they were guests of honour on the pitch at Craven Cottage at half-time, applauded by both sets of fans as they were accompanied by Fulham mascot Billy the Badger. It cemented the link between the school and the Fulham FC Foundation, which has run after-school clubs for pupils and helped organise and train the school’s football teams. Coach Dan Grech joined the Year 5 and 6 girls on the pitch as 10-year-old captain and leading goalscorer Patience Ferguson held aloft the Mayor’s Cup - the first time Melcombe have won the prestigious competition. Melcombe, which is rated ‘outstanding’ by Ofsted, won the Mayor’s Cup after beating St Stephen’s 2-0 in the final at Ravenscourt Park. Patience, who scored both the winning goals, netted 27 of the 29 goals that the school team scored throughout the season - the last being a superb lob over the rival goalie’s head. The school are representing Hammersmith & Fulham in the girls’ football competition on Tuesday 26 March featuring all 33 London boroughs at the London Youth Games at the Redbridge Sports Centre, Ilford, Essex.